And it's being animated by studio BONES! Any anime fan worth his/her salt should know Shinichiro Watanabe, one of anime’s best directors known for works such Cowboy Bebop and Samurai Champloo. Now, Watanabe-san is back, this time he teamed up with anime studio BONES (Fullmetal Alchemist: Brotherhood, My Hero Academia) for the upcoming anime series Carole & Tuesday! Carole & Tuesday is set in the future, fifty years after humanity has colonized the planet Mars. 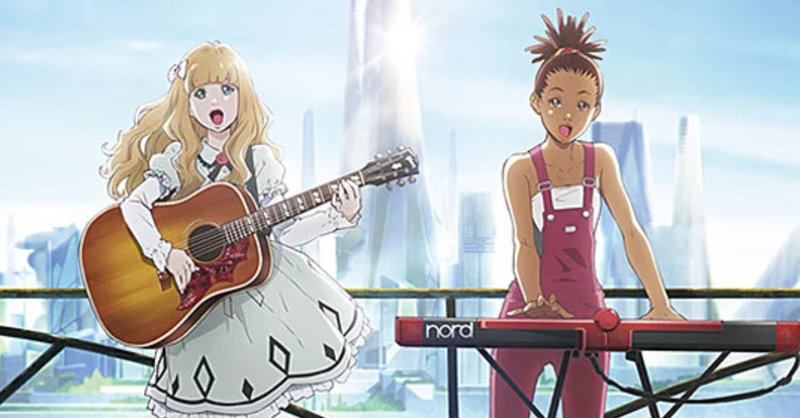 The series will follow two characters — Carole and Tuesday, who are from vastly different backgrounds but are brought together by their love for music. Fifty years have passed since mankind began migrating to the new frontier: Mars. It’s an age where most culture is produced by AI, and people are content to be passive consumers. Scrapping a living in the metropolis of Alba City, she’s working part-time while trying to become a musician. She’s always felt like something is missing. Born to a wealthy family in the provincial town of Herschel City, she dreams of becoming a musician, but nobody around her understands. She feels like the loneliest person in the world. A chance meeting brings them together. They want to make music. Together, they feel like they just might have a chance. The two of them may only create a tiny wave. 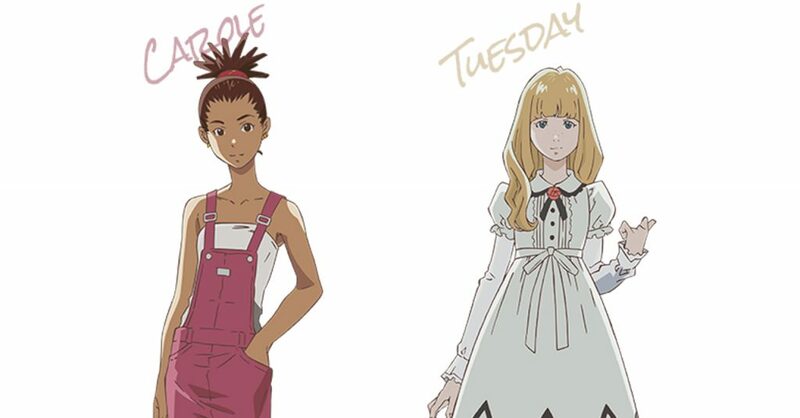 Here is the official character art for the anime’s main characters, Carole and Tuesday. While Shinichiro Watanabe will be involved in the anime, he will only serve as the Supervising Director of the series. The directorial duties will fall upon Motonobu Hori, with music by Canadian artist Mocky. From the anime’s synopsis, fans of Watanabe-san’s work should be excited for this series, especially as Carole & Tuesday will be about the characters’ love of music. Watanabe’s previous works such as Cowboy Bebop and Samurai Champloo have received near-universal praise for their amazing and memorable soundtracks; Carole & Tuesday looks to be continuing this tradition! Carole & Tuesday will air in FujiTV in Japan on April 2019. The series will then air worldwide exclusively on Netflix at a later date. Previous articleNetflix reveals ‘Trese’ anime series is in the works! Next articleThe world’s most famous detective gets an anime series with ‘Kabukicho Sherlock’! Netflix reveals ‘Trese’ anime series is in the works!